Fun car for the daily commute and spirited back road driving. 99% of my driving is going to be the daily 1+ hour commute. The rest of the time will be for weekend trips with my wife/wife+family. That said, I need four seats but I don't need a ton of cargo space. I want some power, handling, decent fuel efficiency, manual transmission, and an interior that's nice -since I'm going to be spending a lot of time in there. 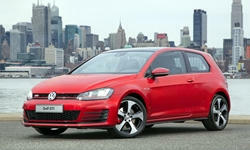 What I have been considering: GTI and WRX (possibly Golf R if I choose to spend the money). I have also considered (though less seriously): Challenger, Mustang, Camaro, Genesis Coupe, G35/37, 228i, BRZ/FR-S, TT... too many. What I have test driven: GTI, WRX, BRZ, and Genesis Coupe. 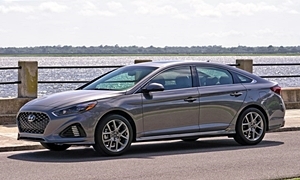 I like the Hyundai Sonata with V6 (2006 - 2010) I've driven the Genesis and the Sonata. I found the Sonata to be more fun for the buck and mechanicaly they hold up well. Hyundai's 3.3L V6 engine (Lambda) in this year range is a surprisingly fun drive. How old are your children? 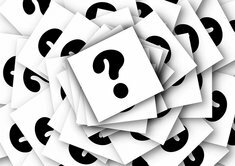 I've driven or owned several of the things you mention, but knowing how large the kids are would help me give a thoughtful response. 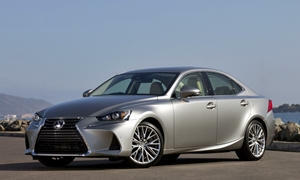 I would look into a CPO Lexus IS250. Decent size, manual, reliable, ok power. Unless there's a big discount on it, the Golf R isn't worth the additional cost over the GTI. In most driving I enjoyed the GTI more. 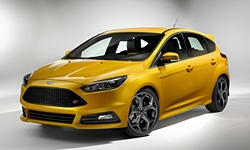 The Ford Focus ST is worth a look, especially if it can be purchased for far less than the GTI. Depends on the incentives on each. 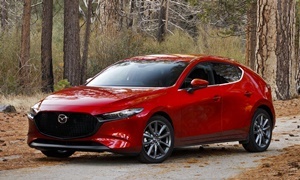 The Mazda 3 s (with 2.5-liter engine) isn't as powerful as the GTI or Focus ST, but I wouldn't write it off without a test drive--if you can find one with a manual at the dealer. The FR-S is not a good choice for commuting. It and the TT likely have too little space for your kids. The others will cost you more yet be little if any more fun to drive in your typical driving. Your modern muscle is really only going to get you to a nice spot in a straight line. That being said, I've driven the Genesis Coupe, Focus ST, and GTI (all in manual sans the GTI). If you like the GTI try out the Focus ST, that thing is a beast and I loved driving it, and it will fit your budget. If you want to step it up a bit more, you can go with a Focus RS. One downfall is that it is a lil boy-racer looking. If that doesn't bug you that's a great start. Plus there's lots of room out back for the family and for some cargo. 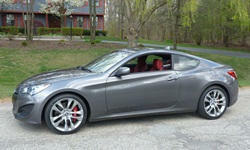 If you like being low down and don't mind the family to be squished in the back the Genesis coupe is a great vehicle. It comes with a great 10yr/100,000 powertrain warranty, the transmission isn't terrible, not as nice as the Fords. It's sporty, and fast for it's own right and can be specced out to be had any way you want pretty much with each range hitting a different niche. 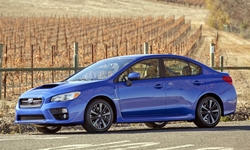 The WRX is nice however I think it's a bit overpriced, but has a great powertrain and AWD system. It also has a bit of a boy racer look but it will have space for the family and cargo. However I really highly suggest the ST/RS Focus, and or if you want something a little bit smaller a Fiest ST. But I think you should consider the ST/RS Focus'.